The Easter Bunny is coming in ten days, which means the “Easter Bunny” is probably in need of fresh Easter basket ideas for family and friends. How about adding a dash of whimsy and wit to your present this year? 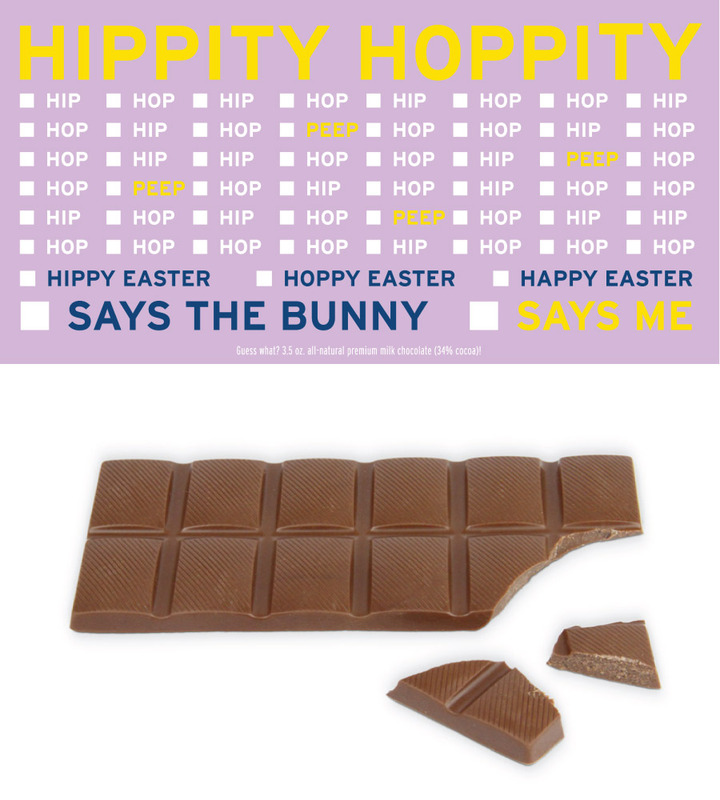 Our Hippity Hoppity Chocolate Bar and Very Best Thing To Give Chocolate Bar are candy/card hybrids that should do the trick. Now, all you have to worry about is finding great hiding places for those plastic eggs. How about hiding one in your clandestine thoughts of eating all the candy meant for the kids?